Next > Writing the book is the easy part. Smarties! A snack so uniquely Canadian, Canadian expats crave them. Me, I have to talk myself out of buying the big bags of them. i like me some crunchy cheezies! Hawkins for the win! even if i do leave cheesy fingerprints all over my computer keyboard! Hmmm. Tie between Lays Salt and Pepper – which are getting harder to find in Vancouver. (Why??) and Hawkins. I will have to go with Lays for a regular snack and Hawkins to be eaten more sparingly in more dire times. PC chips are just TOO MUCH. Salt. Fake flavour. Everything. 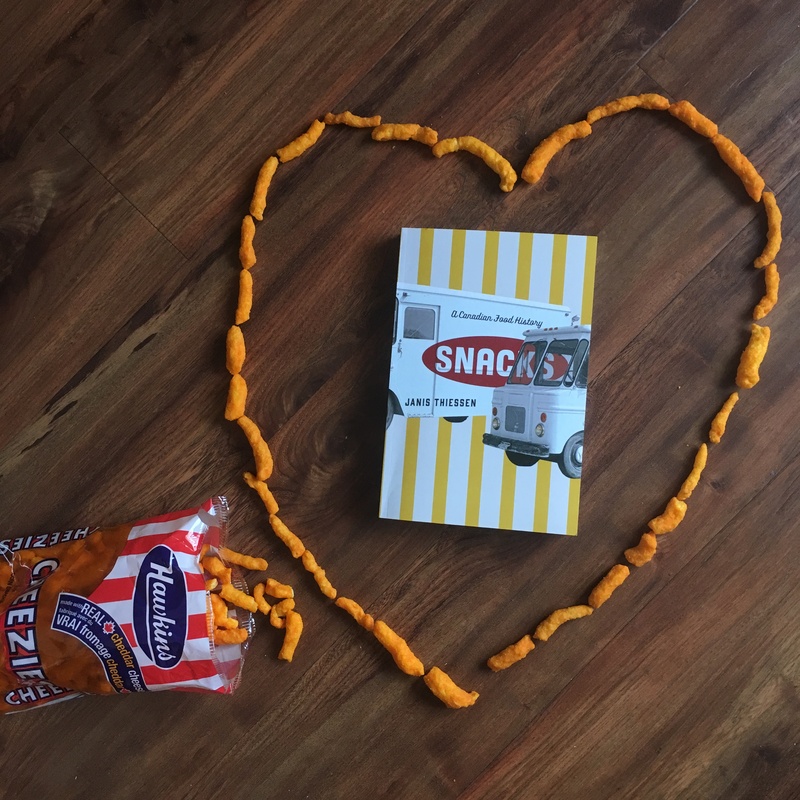 Hawkins Cheezies for sure … they are so hard and so very crunchy! I like the waffle pretzels from PC. I think they are Blue Menu -doesn’t that mean they are healthy? I grew up eating Old Dutch chips and drinking RC Cola. Those are still comfort food, tho these days regular Coke is much easier to find. This books sounds like a riot. Would love to read it. Once upon a time, Loblaws had Kettle Cooked White Cheddar potato chips. They were in a dark blue bag and they were delicious. They stopped making/selling them and nothing has been the same since. You’d think that their Aged White Cheddar and Onion might be a substitute, but no. They are too thick and the onion is unnecessary. 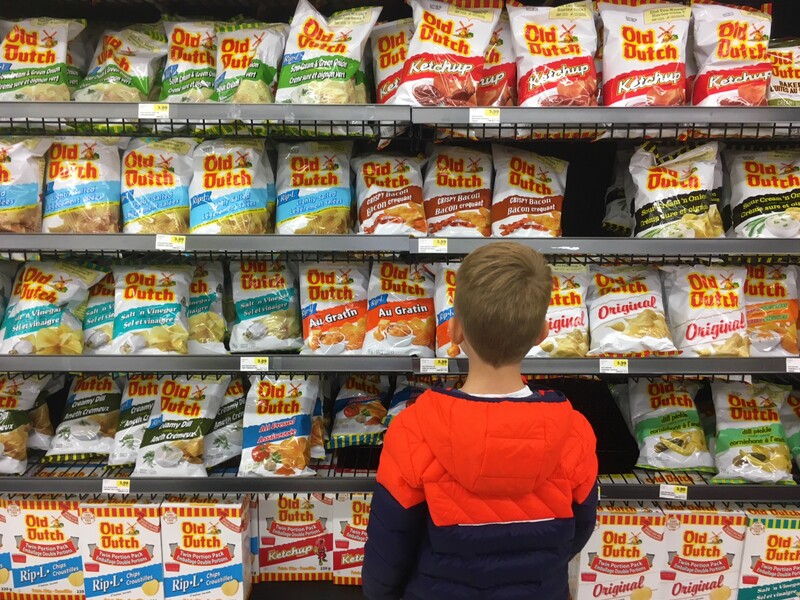 Kettle Cooked Sea Salt and Cracked Pepper are good but really… bring back the Kettle Cooked White Cheddar potato chips. Please! I would love to read a book about Canadian snacks! When I was young ketchup chips were my absolute favourite. As an adult I still like them, but find that they’re not always worth the lingering red food dye. But for year round #alloftheflavours of Hardbite lightly salted root veg chips are such a nice treat-snack. Salt & Vinegar chips! Crispy Crunch chocolate bars too. I’ve been trying to track down this book, which sounds so delightful, but it’s not been easy, so winning a copy would be perfection! Hi Penny! Congrats, your name was the one that fell out of my hat 🙂 I’ll follow up via email.